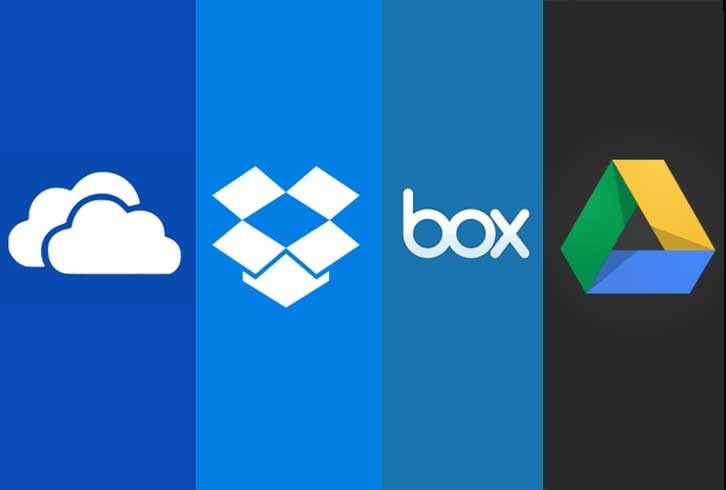 iCloud vs Google Drive vs OneDrive vs Dropbox Which services are good for you. Let's Be Real: Most people use multiple cloud services. When you talk about your devices, you can be a dedicated Apple Fanboy, but you are more than likely to use Google Drive for email, document and photo backups, or perhaps dropboxes for similar reasons. Although hybrid cloud workflow is not uncommon for people, in both private life, and during work, it can be a little confusing if you are new to keeping your stuff in the cloud or even an experienced cloud saver. After all, there are many infinite options, but most common for consumers are Apple iCloud, Google Drive, Microsoft OneDrive and Dropbox. Each service offers a different set of facilities with different types of storage plans at different price points. Therefore, to help you optimize your mix-and-match approach, or better understand which service provides the most storage for the least amount, which provides the best multi-platform support, Or in which you have all the necessary features, we have done all the footwork and have answered your questions. Which is the cloud storage service right for you. Let's know. Platform Availability: Web, Mac, Android, built-in Chrome OS integration, IOS and Windows. What is there for iCloud Apple users, Google Drive is for Android and Chromebook users. That said, this is also a great option for iPhone users who want a clean photo storage experience, and students and professionals who use Google Docs and other Google services. This gives you a generous 15GB free and unlimited free storage for real-time collaboration for your Google Docs, Sheets, and Slides files. It also goes up to 10TB. Additionally, the new Google Drive "Google One" consumer storage plans can also be shared among the maximum of five family members. But the real find is free storage of photos up to 16 megapixels in size from your mobile device - which includes iPhone and iPad - through the Google Photos app, which automatically backs up photos in Google Photos You also get unlimited free storage of 1080p video. The only downside is that many users have reported that uploads are super slots, especially if its folder of large files. Platform availability: Mac, Windows, Web, Windows Phone, iOS, and Android. You will probably see a pattern here, but if you are a Windows 10 PC user or Office 365 customer, OneDrive is a clear choice for you. First of all, this is a bargain because it is included in an Office 365 subscription and costs are less than the cost of competitive services for their 1TB tier. This office also supports real-time collaboration on documents. But that office license is only for a Mac, iPad, and iPhone. In fact, OneDrive and Office 365 are designed to be firmly integrated with the Windows 10 OS. And it immediately becomes apparent when you use the company's app and software for Mac and iOS platforms. They are not just good enough, to be blunt. But if you want to use the original plan, for $ 1.99 months, without any office 365 allowances, you will find that there are cheap options that give you more storage. Dropbox is interesting because it is not designed for specific devices or platforms. It should be for everyone, even if you have favorite ecosystems. In addition, it is consistent and reliable with continuous sinking. It's really user-friendly - just create a Dropbox folder and drag and drop your files into it. You can also insert your full PC or Mac inside your Dropbox, and your data will be available in the local and cloud. For the original plan, files have a 30-day version history so you can retrieve the old version of the file for one month. You get more days - and more features - with more expensive plans like smart sync, priority chat support and full-text search But besides that, dropboxes are pretty bare bones. You have a paper note-taking app to help you collaborate with others, but best wishes to find people who use it. If you are exclusive to Apple then Apple's Icloud is the best choice. You can easily activate it on all your devices and quickly access all your data including calendars, notes, photos, and iWorks documents. Auto-backup your iOS device, iCloud, and also from your Mac desktop, you can transfer files to your iCloud drive for easy access to iOS devices. There is also an option to access your iCloud files from the web. Therefore, if you are a Windows 10 PC user or an Android user, you can go to iCloud on the Web to find all your stuff. But, in our opinion, the Icloud experience is the best suited and makes the most sense for Apple device users. Honestly, the hybrid approach is your best bet. We believe that if you are a Mac or iOS device user, iCloud is easy to store all your device data from the calendar to notes, from the app. But Google Drive is great with Google Photos if you only want to back up photos If you are a G-suite user, such as a student who lives in Google Docs, then it's great. But if you work mostly inside Office 365, then OneDrive is for you. For Dropbox, it works well with all platforms and is perfect for those of you who prefer to work from the web. All you need to do is evaluate which equipment you use, how much you are willing to spend, why you want cloud storage, and then you can review all information in mind, keeping in mind the above information. It's not easy, but with this guide, hopefully, it will not be so hard for you to make the right choice for you. What is mortgage loan, benefits, types of mortgage loan, documents. A blog about Increases your knowledge and Ideas to Insurance, Beauty, Sports, and entertainment etc.